About three months ago my husband got it in his head to terrace an unused portion of our yard for a garden. Now, when he gets a project in his mind, he goes for it full steam. He planted zucchini, yellow squash, eggplant, tomatoes, corn, arugula, Mesclun, sweet potatoes, green peppers and green onions. Either he has the greenest thumb around or our soil is naturally rich in nutrients … with the third possible option being that we have built our garden on a nuclear waste site! About a month or so ago, the arugula came in – we ate it every day and I brought bags and bags of it to my co-workers but we still couldn’t keep up and it went to seed. This was followed by the zucchini and yellow squash, which I again shared with my co-workers, not to mention grilled it, caramelized it, made zucchini lasagna, zucchini cookies, etc. At one point my husband brought up a two-foot-long zucchini that he had somehow missed until it grew to a supernatural size. How you miss a zucchini that big, I will never know. 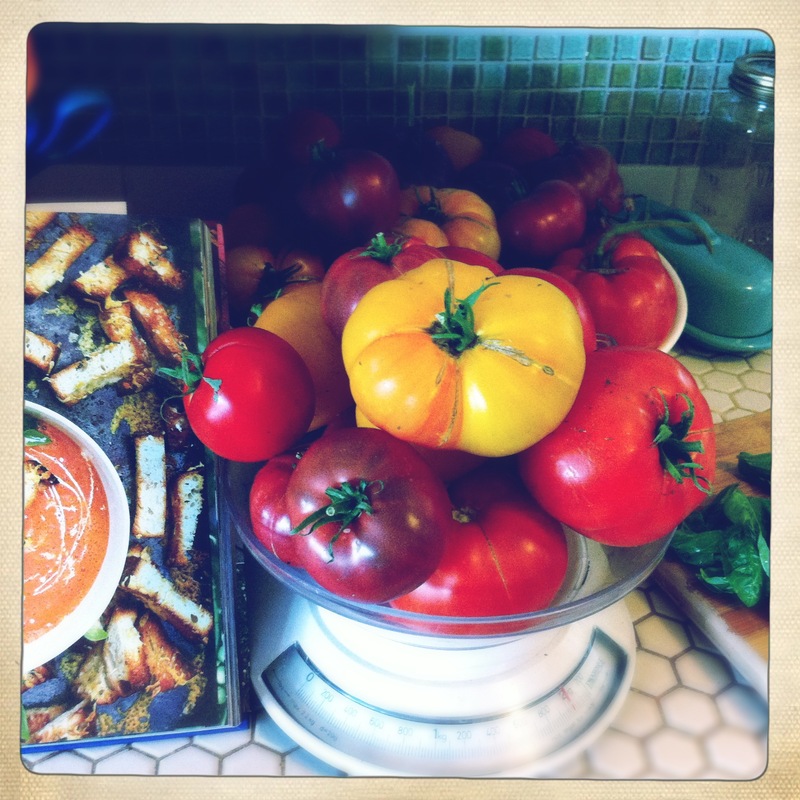 But then came the heirloom tomatoes – what I had been waiting for. At first they trickled in: one Beef Steak, two Red Zebras, a couple Purple Cherokees and couple Lemon ones. That was until this past Friday when he came up from the garden with an enormous bag full (along with more zucchini and yellow squash, of course). The thing about our tomatoes is that they are so fresh and so vine-ripened that you have to use them fairly quickly, so this is what spawned “The Great Ashborn Tomato Fest.” The only sad part of this story is that my husband was out of town for part of the weekend and did not get to partake in some of the bounty. Fortunately my sister and our friend Vickie stepped up and volunteered. 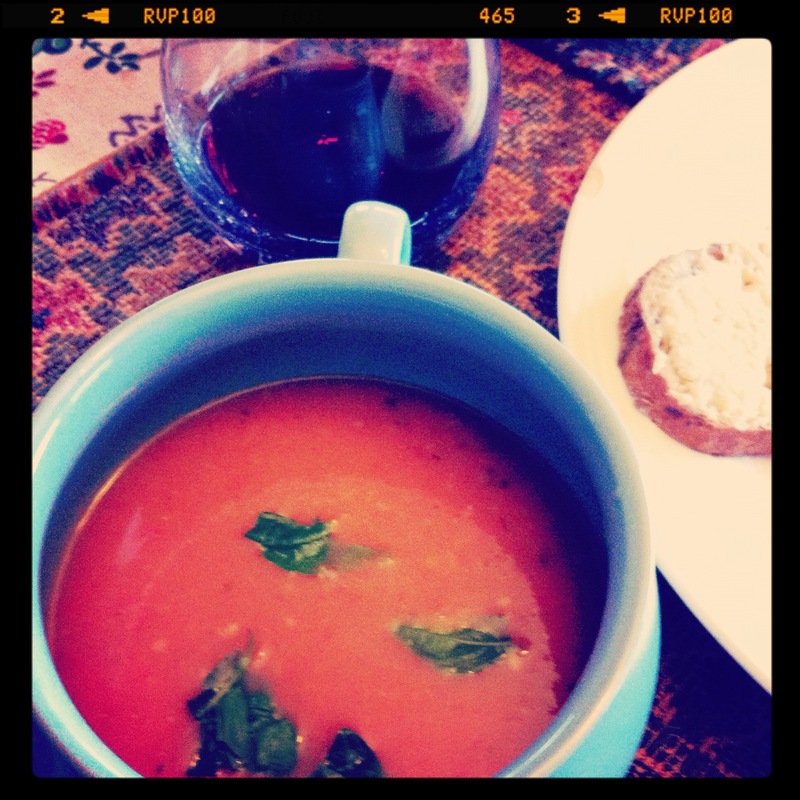 I started with a fresh tomato soup from Jamie’s Great Britain. I am a huge fan of Jamie Oliver and as always, his recipe did not let me down. It is an incredibly simple recipe – no extensive chopping, no straining of soup. You basically throw all the ingredients in a liquefier (or my Oster blender) and liquefy it in batches, simmer it a bit, add some white wine vinegar and a touch of cream and voila! I served it with parmesan toast, a simple saffron lemon couscous with garlic shrimp and, of course, caramelized zucchini. 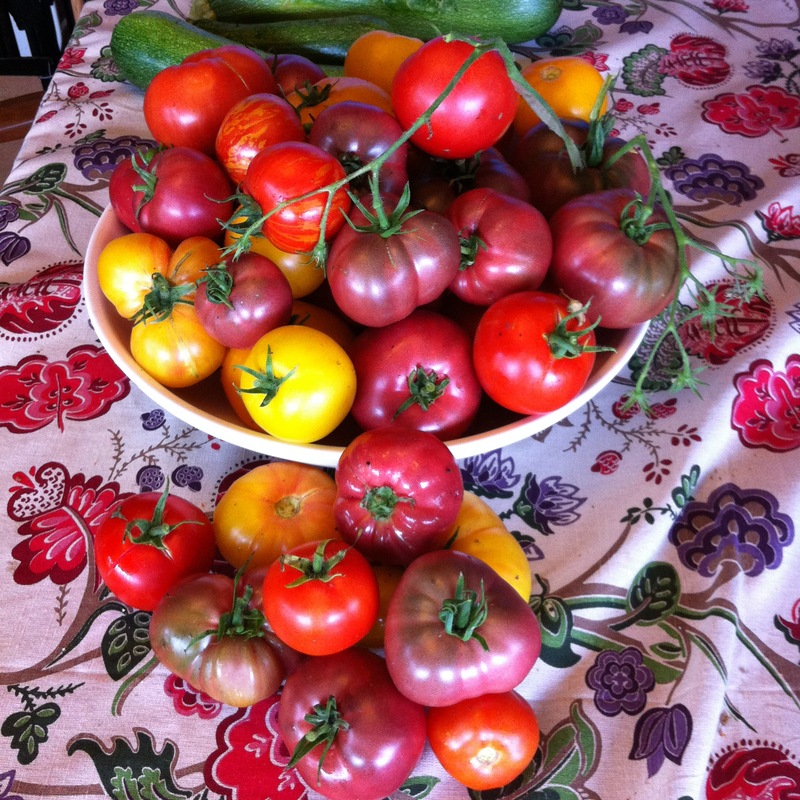 I managed to use two kilograms (about 4½ pounds) of tomatoes for the soup (and even sent some home with Vickie) but my tomato bowl still runneth over. 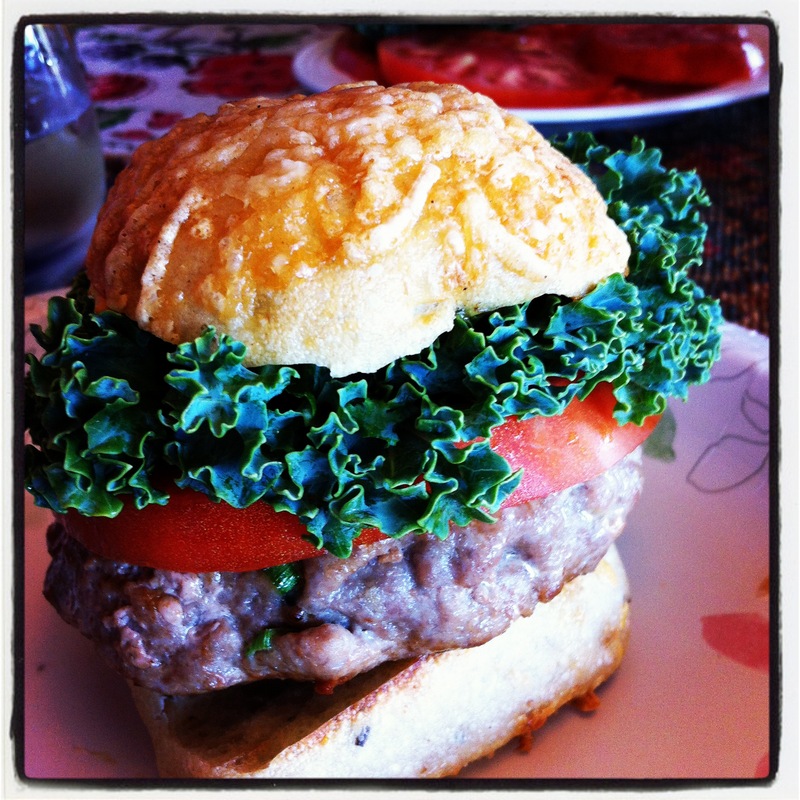 So on Saturday it was slow-roasted tomatoes (eight hours in the oven), a big Caprese salad and beef steak tomatoes on Vickie’s super delicious Turkey Burgers (hopefully we can get her to share her recipe here soon). Yep, that’s right, she came back for round two. 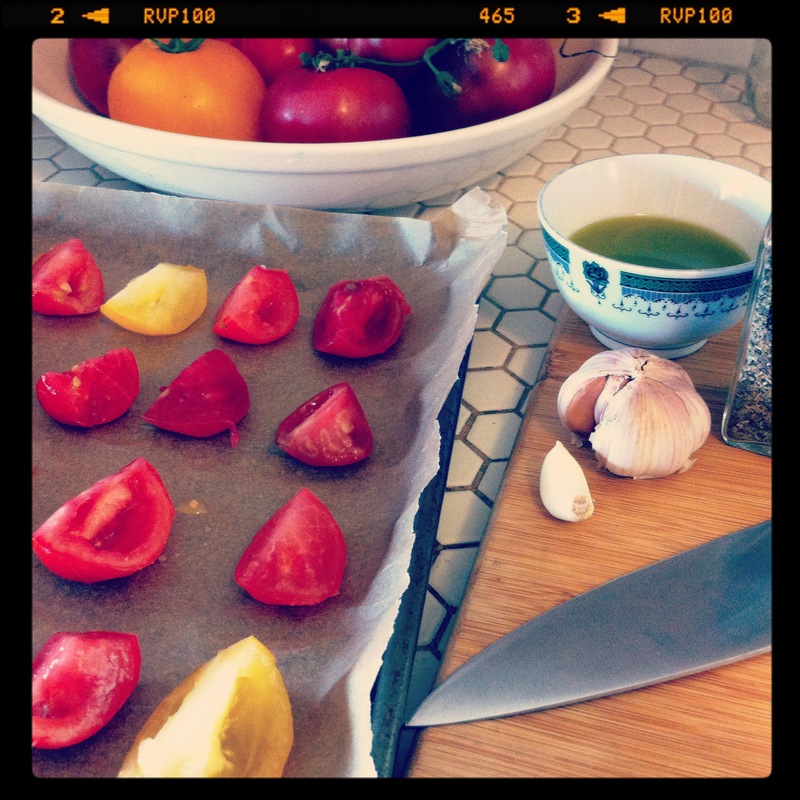 By Saturday night my husband was back (and managed to eat most of the slow roasted tomatoes). 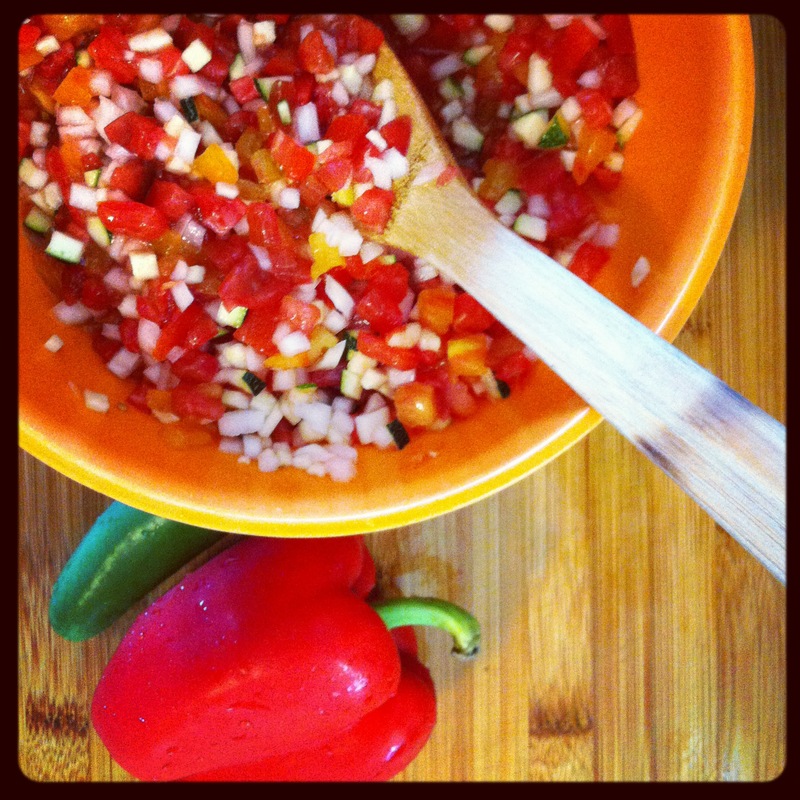 On Sunday, I made a delicious tomato and zucchini salsa (instructions below) from a recipe that Kim found online. In a small bowl, combine first 12 ingredients. Using a slotted spoon, transfer salsa to a serving bowl, draining some of the liquid that accumulates while refrigerated.